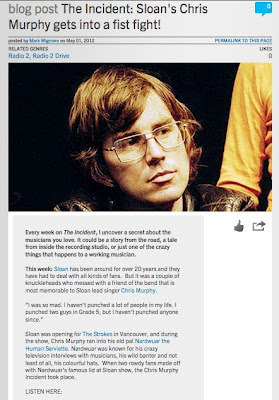 Nardwuar The Human Serviette News: And Thank you Chris Murphy of Sloan ! And Thank you Chris Murphy of Sloan ! And Thank You Chris Murphy of Sloan for this!